I want to create a 3D simulation in Unreal Engine, I have a handle that user can take it and move it (Wacom pen).Now i just want to have the distance between Wacoms pad and pen,Also I want the rotation of pen too. Can I get this information from Wacoms software ? 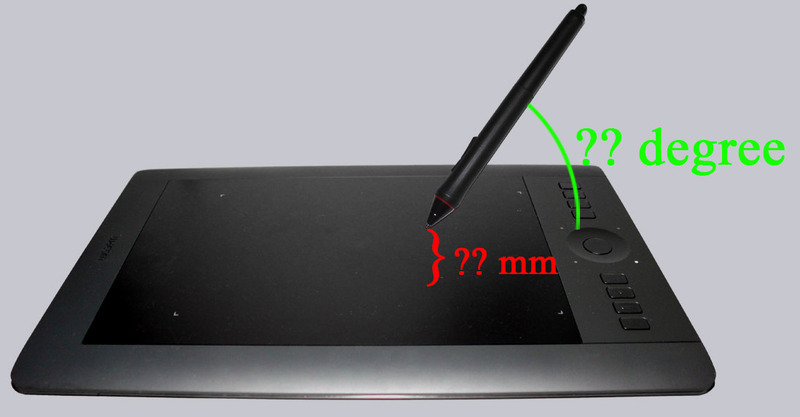 You can find the developer information for getting data from the tablet in http://developer.wacom.com/en-us The driver can provide pressure form the pen, depending on tablet model it tell you pen bearing/tilt direction. When using the Artpen, the pen delivers rotation data. There is no provision for detailed pen height detection. Thank you so much,I read height detection information for example Intuos Pro is 10 mm , I thought it is queryable. According to specification tablets should detect a pen as long as the pen is within the 10 mm height, but a pen might still be detected on bigger distance - depending on the energy from the tablet sensor and sensitivity of the pen electronics. There is no measurement for the distance.